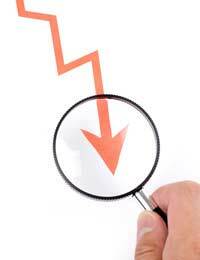 Falling sales figures and the causes of falling sales figures need to be nipped in the bud. You can’t just let your team carry on making mistakes, especially as they will not respect you unless you make it clear that their current results are unacceptable. The bottom line is that your sales team employees will be expecting you to make a speech to them to highlight the current negative situation. Even if they don’t want to hear it, they will expect to be pulled up by their boot straps and given a bit of a telling off. It’s your job to motivate your team, so this speech really matters. While it is important to get the content right in order to give your staff the ‘good cop, bad cop’ routine that they need, you have to make sure that your timing is right, too. You can’t wait until the sales figures are so low that it seems like too big a task to get over, but neither can you leap in too quickly and upset your staff by being negative. This is where regular sales reviews come in. If you don’t already have at least a monthly sales meeting, now is the time to start. So, either call your first monthly sales meeting by email, or give your speech at the next meeting. Before you start your speech, make sure you have the correct sales figures to hand. Bluff your way through this meeting and it will not have the desired effect of motivating your staff to improve their sales activities. Be clear on where your sales team is failing – is it lead generation, conversion rates, customer negotiation or overcoming objections? Example: I’m sure it won’t come as a great shock to you to know that I am really disappointed with the current sales figures. I’ve been going through the results for Q2 and, I have to say, they are atrocious – there is no way we can continue if this is the best that we can do. The sales team supports the whole organisation, so unless we can improve the current rate of one project conversion for every eight sales meetings, there are going to have to be some real changes. In order to motivate your staff to do better, they need to know what is expected of them. You must be clear about what sales goals you have and what the team can do to rectify the current situation. Example: Before the end of Q3, we all need to make sure that we have achieved a conversion of at least one to four. In order to do this, I propose that we introduce a more focused approach to arranging meetings and be far stricter in qualifying appointments before we go traipsing around London and spending a small fortune on cabs and client lunches. We will reassess this in our mid-Q3 meeting to make sure we are on the right track. It is your job to make your team want to do better – for you, them and the company as a whole – so you can’t just lay into them and expect them to go off and hit sales targets. You need to end your speech by motivating your team, rather than with another criticism. Example: There is no reason why we can’t achieve these goals. If any of you want to speak to me in more detail about where you need extra training or support, please don’t hesitate to come in to see me. You know I have an open-door policy, so just pop in and we can have a chat. I know you are all more than capable of reaching these targets by the end of Q3 and I know that you will see a great increase in your commission when we start reaching our potential.